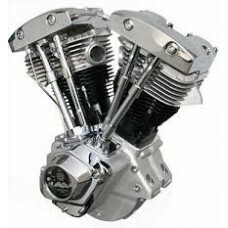 ULTIMA 96" SHOVELHEAD MOTOR....POLISHED6 Month Limited Warranty from Date of PurchaseAll motors Must..
ULTIMA 96" SHOVELHEAD MOTOR....BLACK6 Month Limited Warranty from Date of PurchaseAll motors Must Be..
Ultima 96" Shovelhead Motor6 Month Limited Warranty from Date of PurchaseAll motors Must Be Pre-orde..
ULTIMA 127" Polished and Chrome Plated EVO Motor. Rated Output 140 H.P. with 140 LB Ft. Torque..
ULTIMA 127" Black and Chrome Plated EVO Motor. Rated Output 140 H.P. with 140 LB Ft. Torque.&n..
ULTIMA 127" Natural & Chrome Plated EVO Motor. Rated Output 140 H.P. with 140 LB Ft. Torqu..
ULTIMA 120" Polished and Chrome Plated EVO Motor. Rated Output 130 H.P. with 135 LB Ft. Torque..
ULTIMA 120" Black and Chrome Plated EVO Motor. Rated Output 130 H.P. with 135 LB Ft. Torque.&n..
ULTIMA 113" Polished and Chrome Plated EVO Motor. 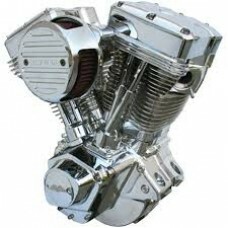 Rated Output 120 H.P. with 120 LB Ft. Torque..
ULTIMA 113" Black and Chrome Plated EVO Motor. 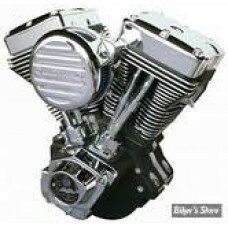 Rated Output 120 H.P. with 120 LB Ft. Torque.&n..
ULTIMA 107" Polished and Chrome Plated EVO Motor. Rated Output 115 H.P. with 120 LB Ft. Torque..
ULTIMA 107" Black and Chrome Plated EVO Motor. Rated Output 115 H.P. with 120 LB Ft. Torque.&n..
ULTIMA 100" Polished and Chrome Plated EVO Motor. 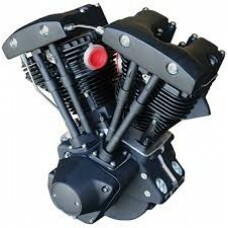 Rated Output 110 H.P. with 110 LB Ft. Torque..
ULTIMA 100" Black and Chrome Plated EVO Motor. Rated Output 110 H.P. 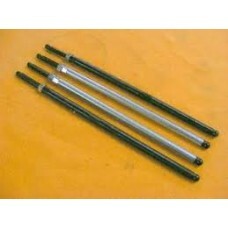 with 110 LB Ft. Torque.&n..
ULTIMA PUSH RODS are made fromTapered 4140 Steel with adjusters and tips made from hardened 86.. 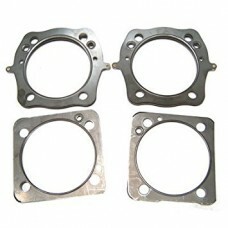 Factory Products, Head and Base Gasket Kit, 120 / 127 Ultima. Factory Products, Head and Base Gasket Kit For a 120 / 127 Ultima Motor. 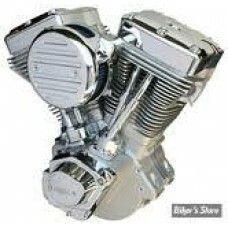 Parts Numbers and Qua..
Ultima, Head and Base Gasket Kit For a Harley Davidson Ultima Engine, Parts Listed Below.Quantities,..